The Lions placed Bawden (ACL) on injured reserve Tuesday, Kyle Meinke of MLive.com reports. 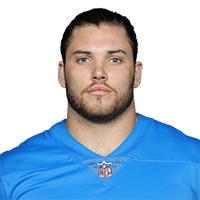 Analysis: Bawden suffered the injury during minicamp, ultimately ending his chances of seeing the field for the Lions during the 2018 campaign. The rookie seventh-round selection will begin his rehab following a surgical procedure with the aim of rejoining the fold in 2019. Recently converted linebacker Nick Bellore becomes the favorite to serve as the fullback this season. There are no videos available for Nick Bawden. Click here to view all videos.